After being involved in an automobile accident and seeking medical care, the doctors may have asked you if you have medical payments coverage. 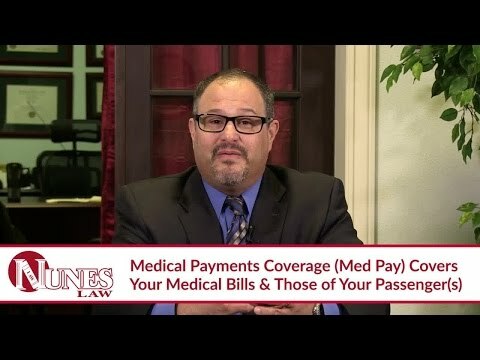 Medical payments coverage, also known as med pay, is an insurance that covers medical bills of you and your passengers. This coverage can be used regardless of who is at fault for the accident, and it can be used up to the policy limits. It is important to check your policy and give this information to the doctor’s office. If you have additional questions regarding medical payments coverage, I want you to call me at (559) 436-0850. Visit our educational website at www.NunesLaw.com, where you can view more videos and media content from our law firm.